Today is Good Friday. How many words could be written on different aspects of Good Friday? There is no way to fully exhaust the significance of the cross. I won’t try to delve into the meaning of the cross, the significance of the death of Jesus, or even all the ancillary aspects of the story of the whole of the passion of Jesus Christ. I do want to briefly mention one thing though. 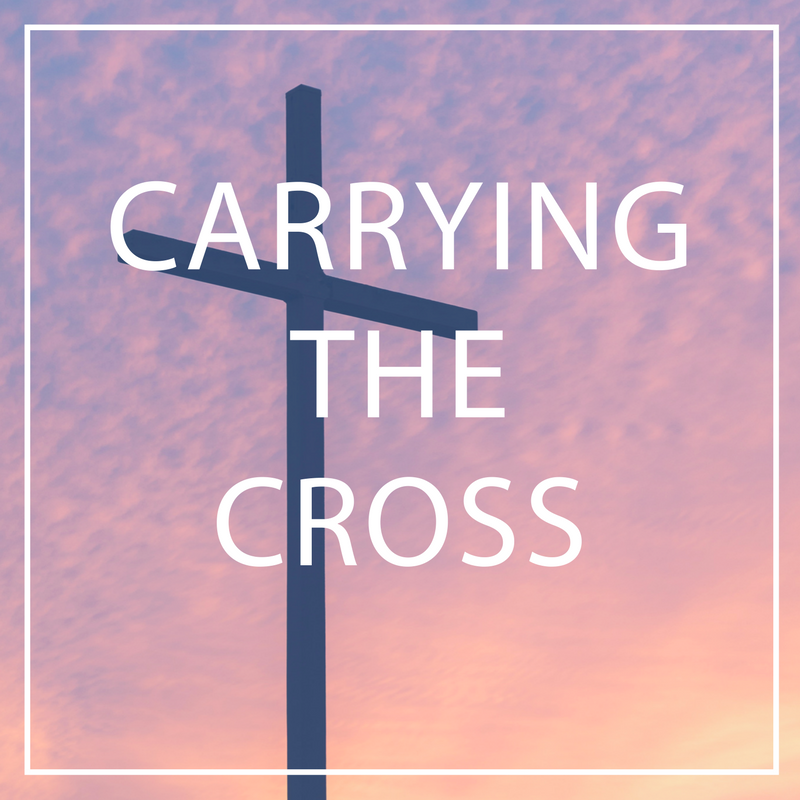 Why do you think somebody else, Simon of Cyrene, was demanded to carry the cross of Jesus? Was it really happenstance? Was it because Jesus had been so brutally beaten that He was unable to carry the cross Himself? I don’t think so. It seems to me that everything concerning the last week Jesus' life was precise. In fact, most of it fulfilled prophetic scripture from the Old Testament. There were layers of meaning to everything, or so it seems to me. And I don’t think the fact that Simon carried the cross is any different. I don’t know if there was significance to it being Simon, or if it means anything that he was from Cyrene, and I don’t think Jesus was faking when He fell. There is no doubt Jesus physically was weakened from all He had been through that carrying the cross was beyond His physical strength. And Simon was just there. He was standing close by when Jesus fell, but I don’t think it was random, or a chance event. I think it was purposed by the divine will of God. The words of Jesus are: “If anyone would come after Me, let him deny himself, take up his cross daily, and follow Me.” The picture God gave us on Good Friday is that His will is for someone to carry the cross of Jesus for Him, in front of a watching world. Perhaps without understanding the full significance of the eternal truth he was embodying, Simon carried the cross of Jesus. Simon was meant to be the first to carry the cross, not the last. Newer PostThe Dream that Changed History Remembering MLK Jr.